Affordable Pricing - We always try to keep our pricing as reasonable as we can. We will give you a fair price to do your job and give you above and beyond what you would expect. Latest in Technology - We are always trying to improve our knowledge and expand our technology. We are open to new ideas and new equipment that will make your job more economical and safe. Referrals - Much of our business and reputation has been built on word-of-mouth referrals. We pride ourselves on the fact that people are so happy with our company they want to share the experience with someone else. We believe your satisfaction is our best form of advertising. 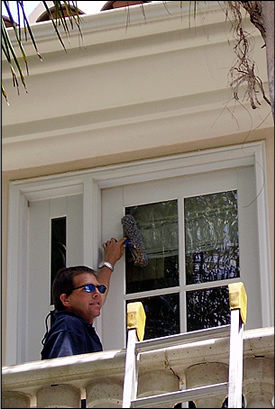 Appearance - All our technicians wear a special uniform so they are easily recognized as a professional sent from JRP Services. References - We have a complete list available of homeowner's and companies that have used our services.